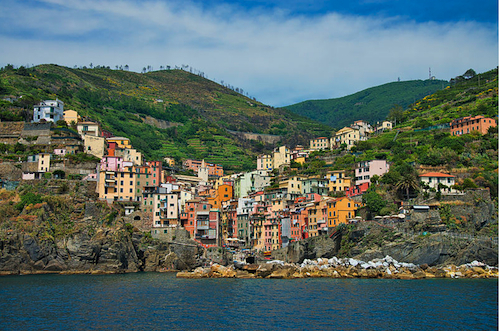 LE CINQUETERRE (The Five Lands) – A string of five towns (Monterosso, Vernazza, Corniglia, Manarola and Riomaggiore) perched on a cliff overlooking the Thyrrenian Sea. A countryside of breathtaking beauty and a showcase for all types of Mediterranean vegetation. The nearby Golfo dei Poeti was so named because it was a preferred destination of major Romantic poets and writers. Here Percy Bysshe Shelley drowned while sailing in 1822, aged not quite 30. ROME – the Eternal City of course needs no introduction. Like peeling an onion, the visitor can uncover layer after historical layer, a microcosm of the history of the Western world. The names of the must-visit destinations are familiar to all: the Colosseum, The Roman Forum, Saint Peter, Piazza Navona, Piazza di Spagna, Via Condotti, Via Frattina, the Pantheon, etc. etc. Go to Trastevere, the side of the river on which the Vatican is, to sample some of the best food you will find anywhere on the Peninsula. Sound interesting? Visit our friends in Sacramento at http://www.italiancenter.net/ to get full information, or download their informational brochure by clicking here.